Location : Kota Singkawang, Kalimantan Barat, Indonesia. 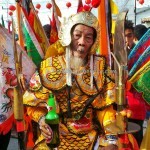 Cap Go Meh (元宵节) in two of the Chinese dialects means ‘the 15th night’ of the lunar new year. 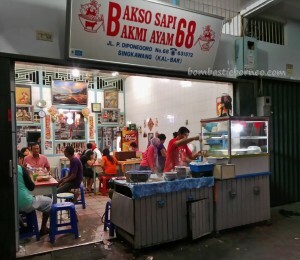 This is the dinner where family members gather together for one final bash of good food and wine before saying goodbye to the new year celebration. 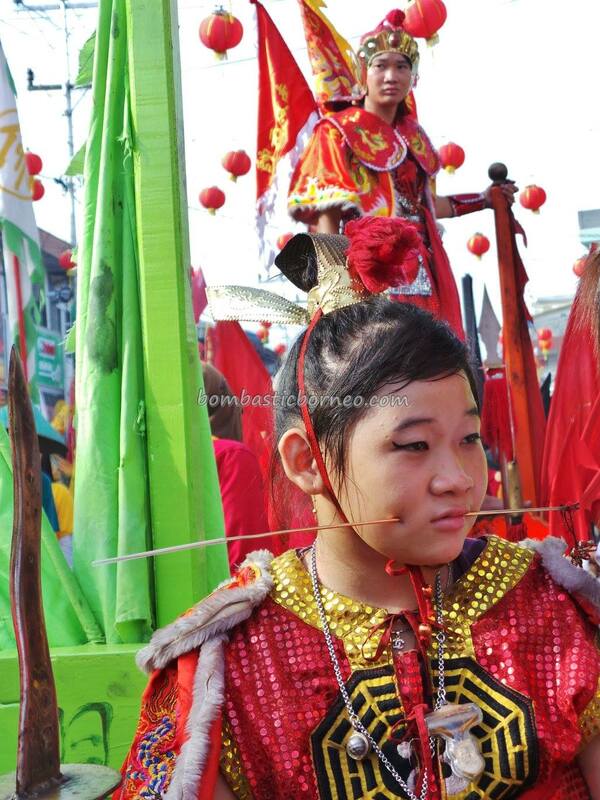 At least this is what most Chinese everywhere in the world grew up with. 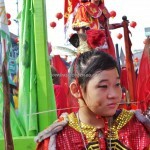 But somewhere in Kalimantan Borneo in the small Chinese Hakka town of Singkawang, this celebration is more than just a private family reunion dinner. 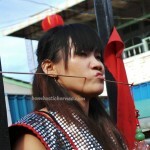 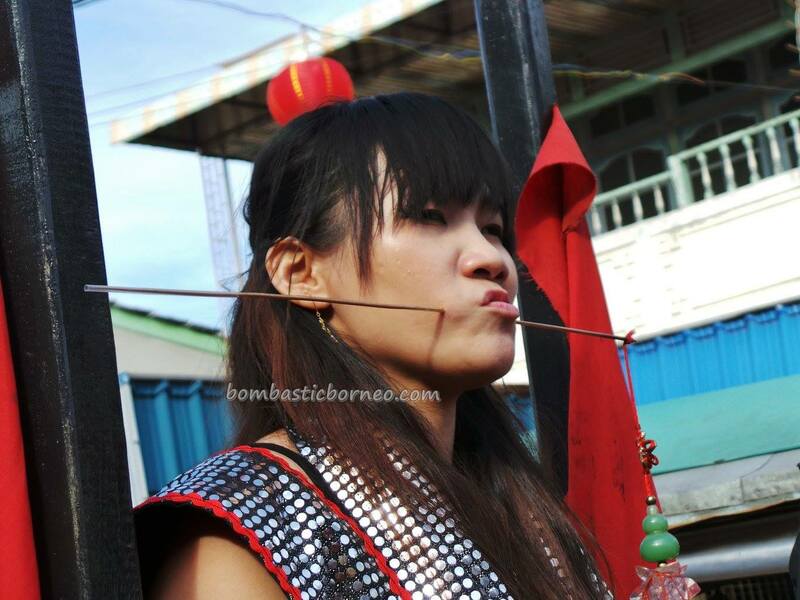 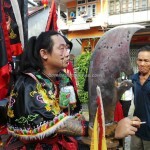 The local Hakkas call it ‘Tatung’ which means ‘going into a trance’. 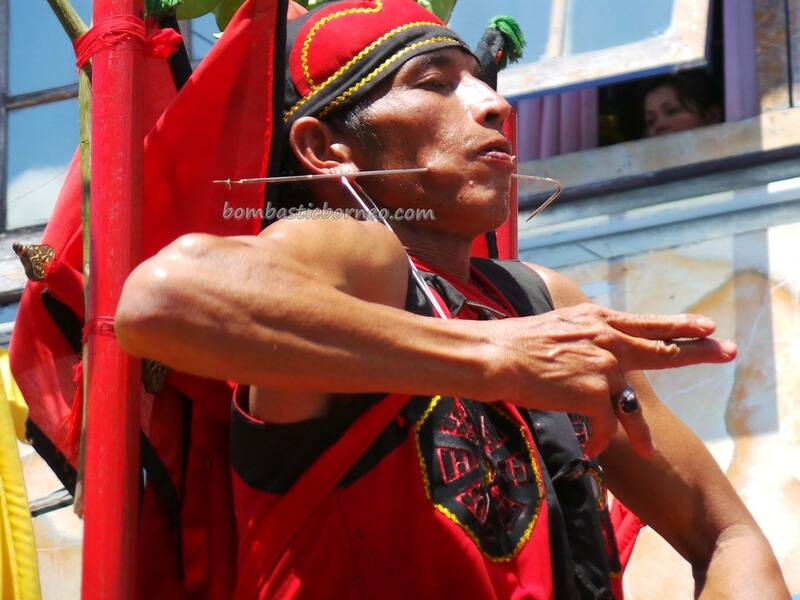 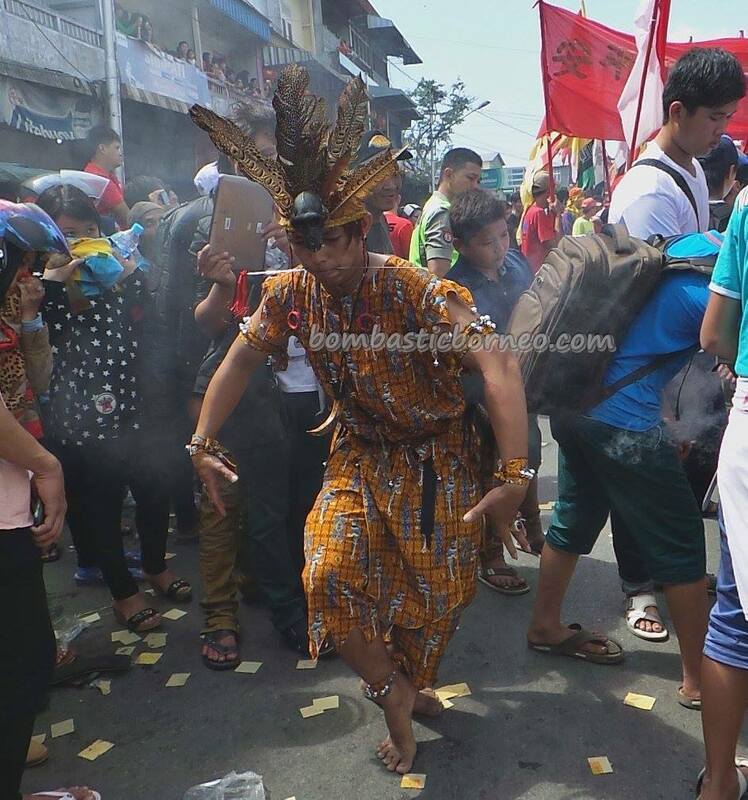 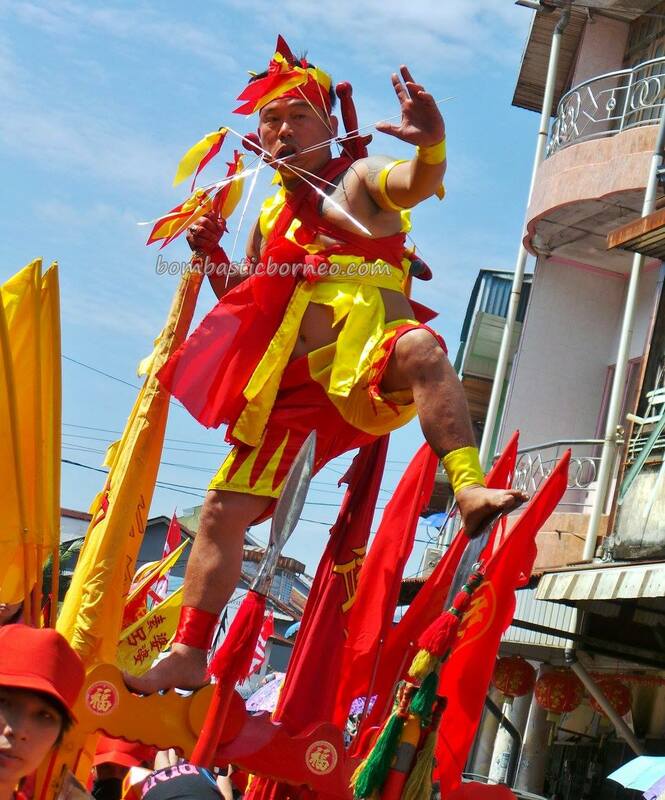 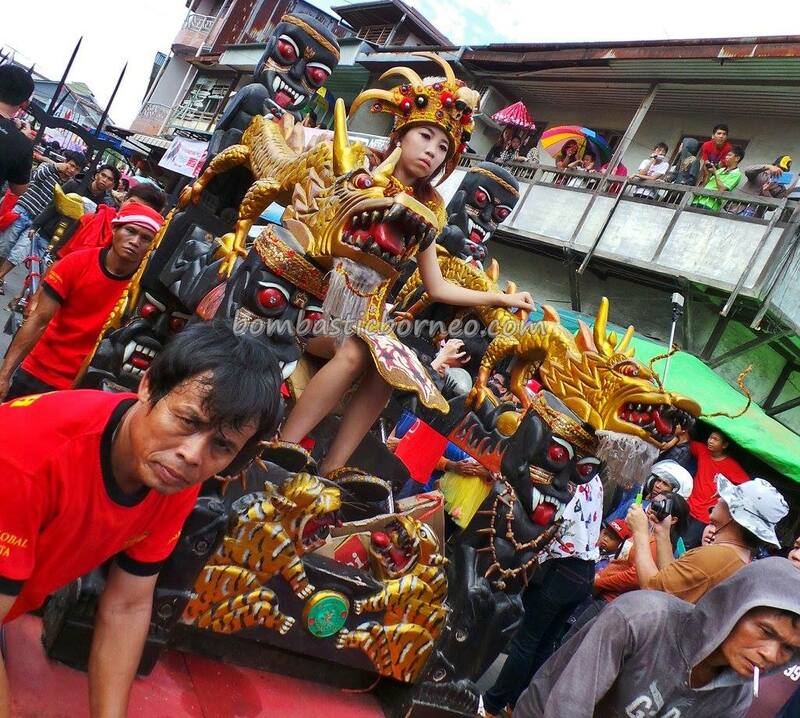 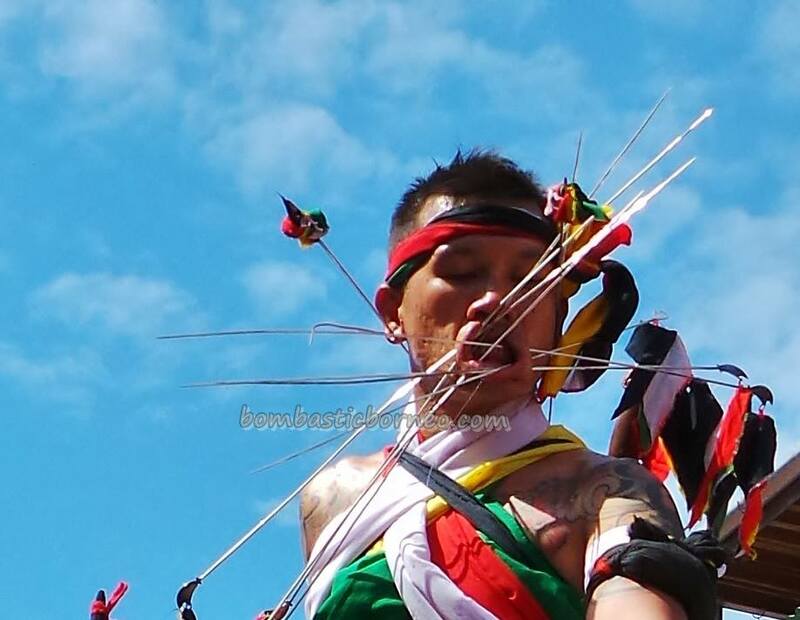 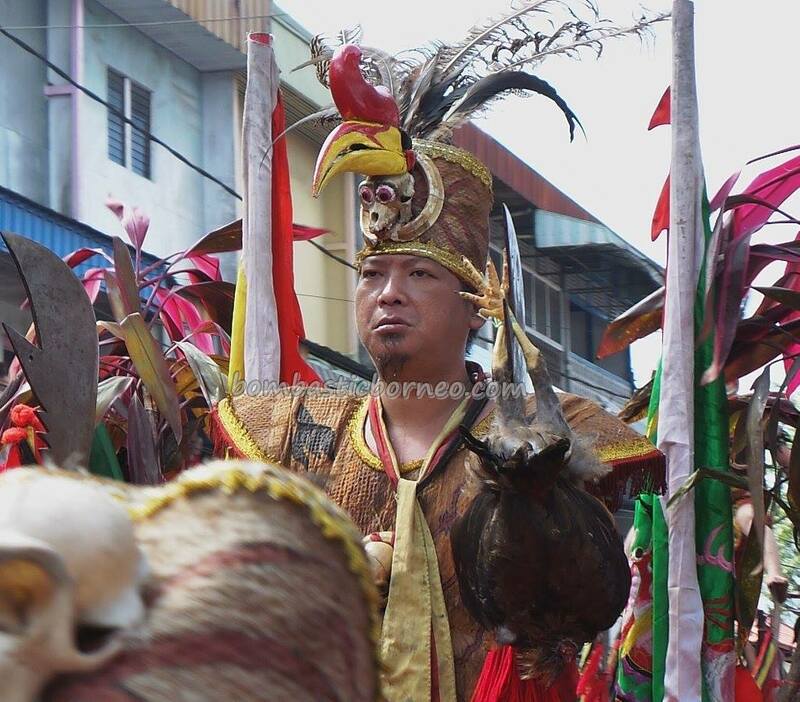 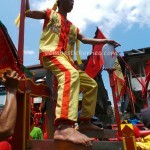 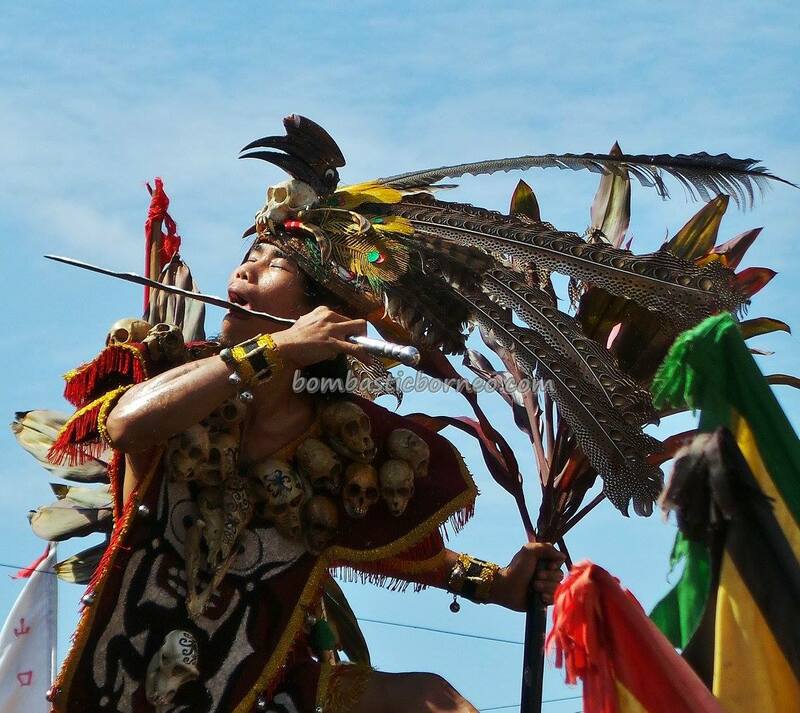 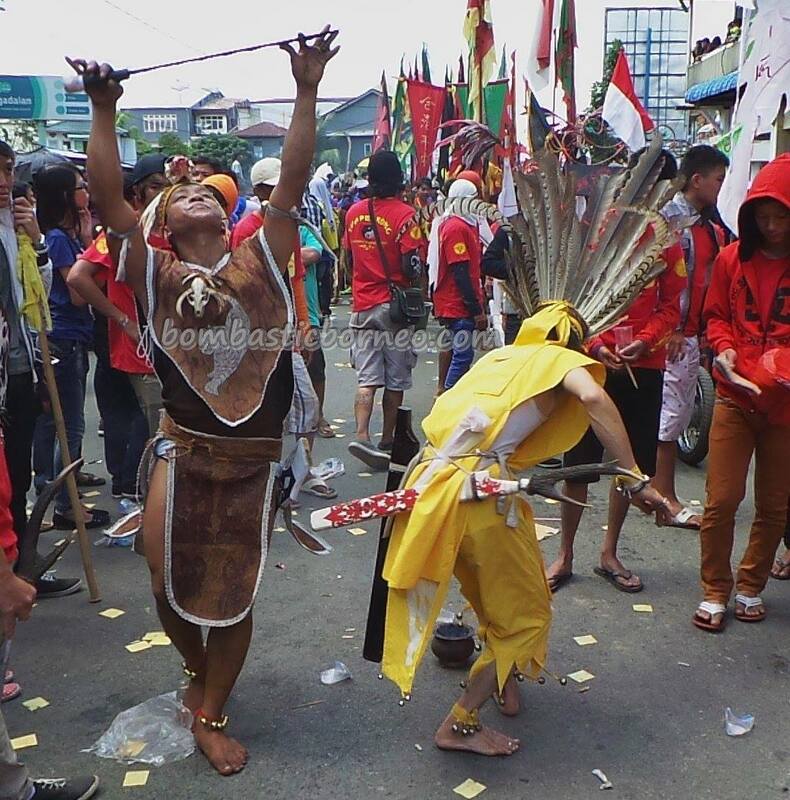 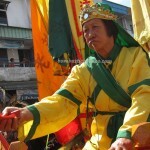 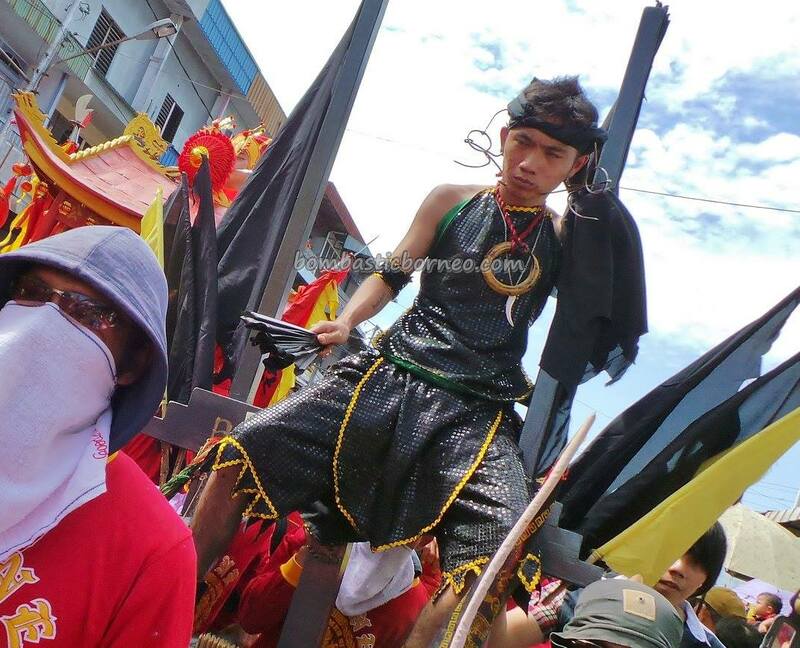 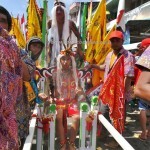 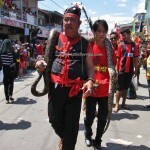 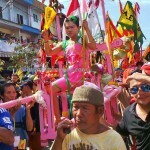 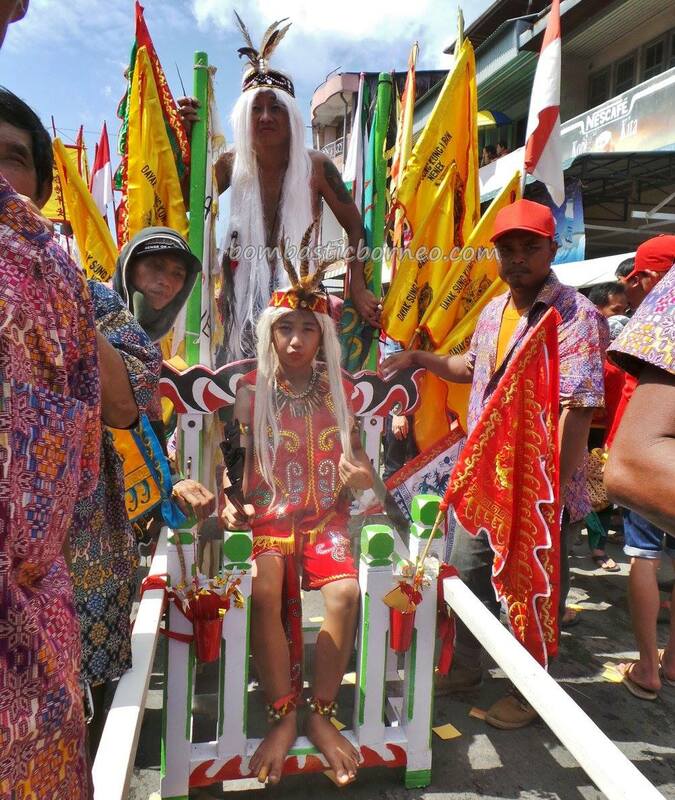 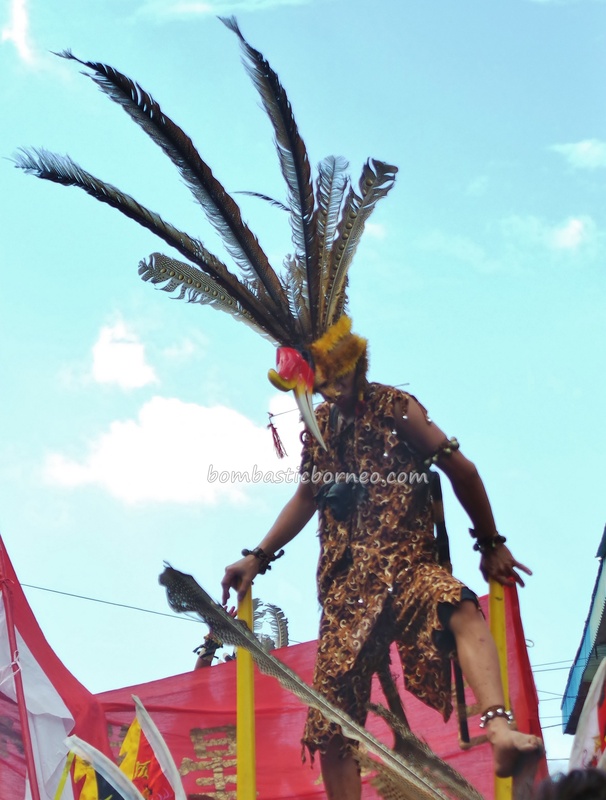 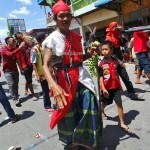 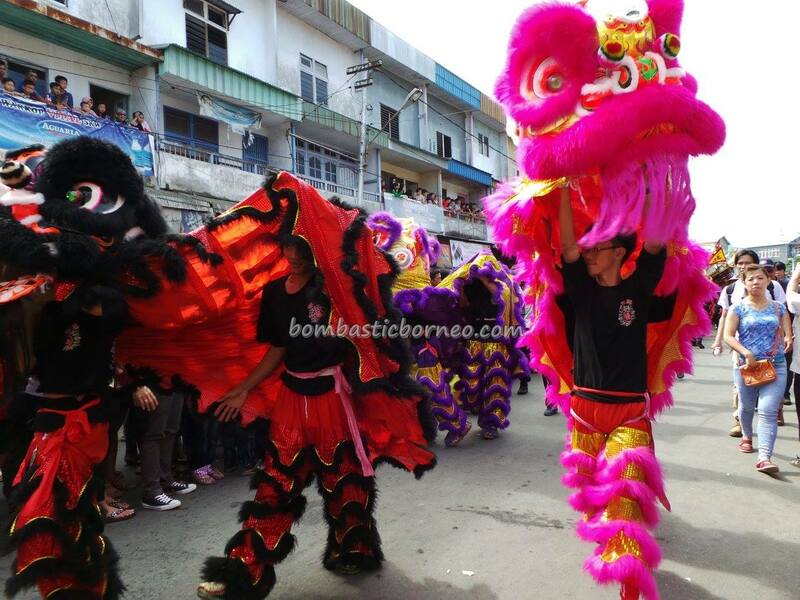 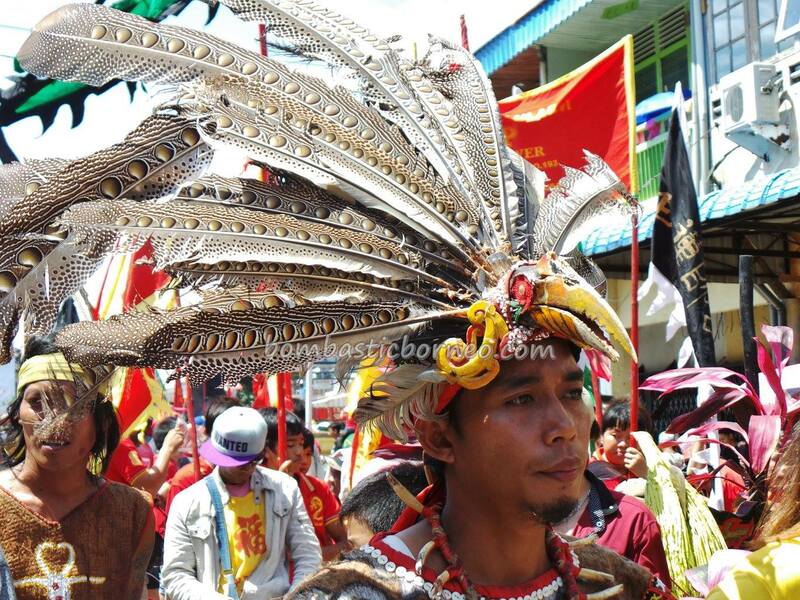 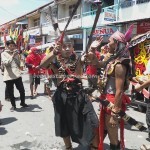 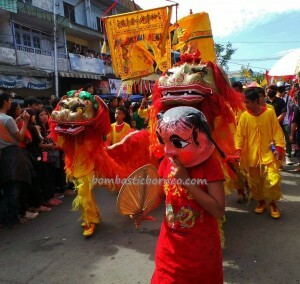 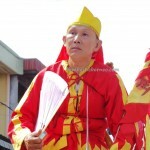 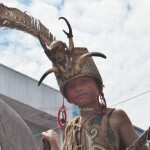 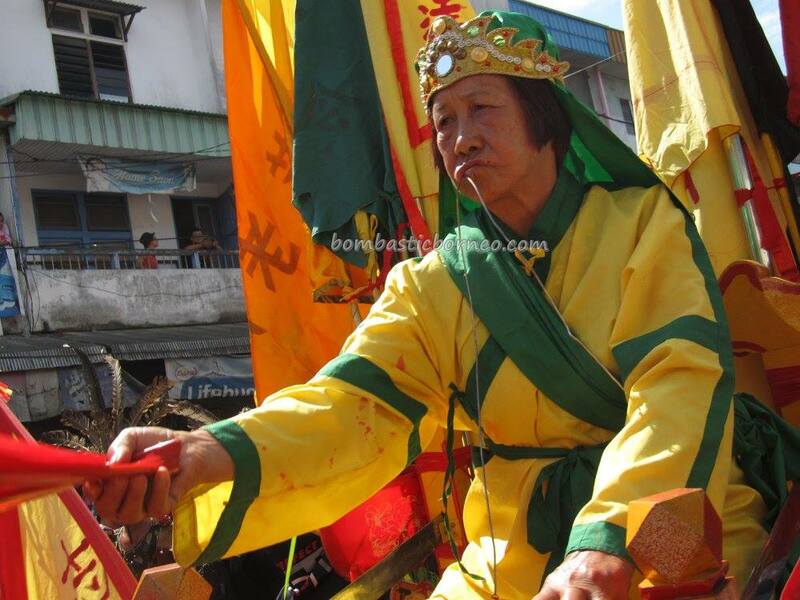 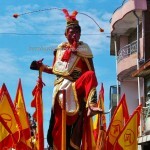 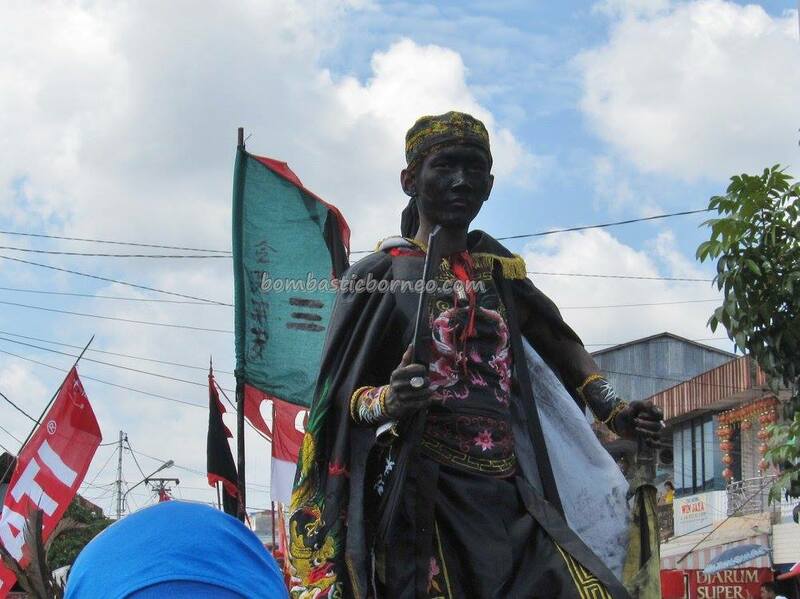 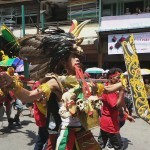 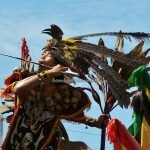 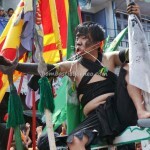 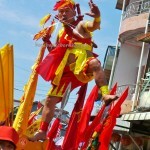 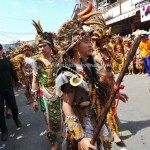 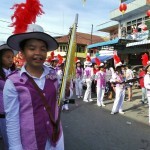 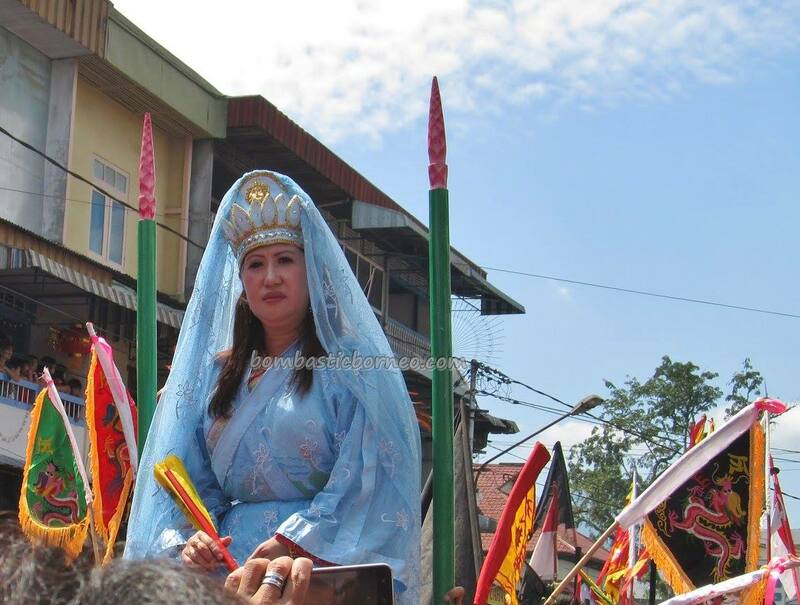 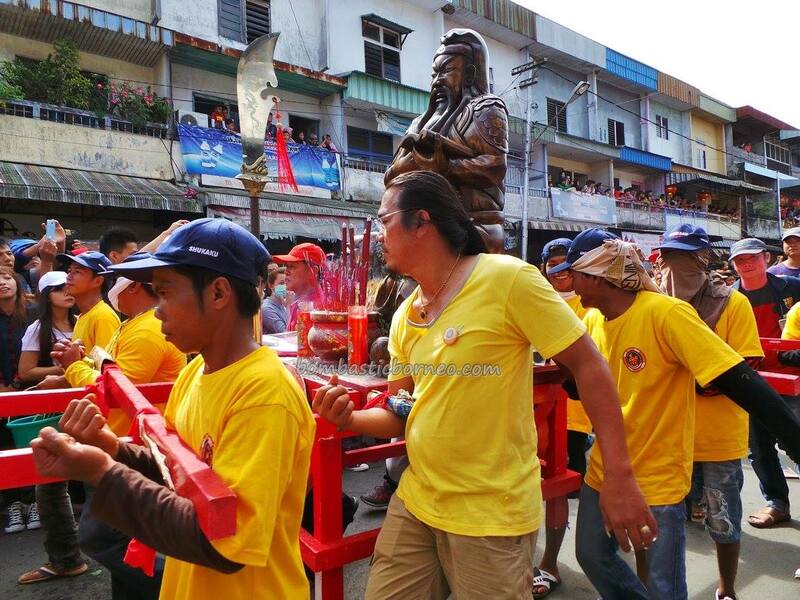 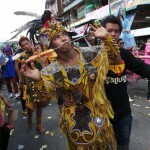 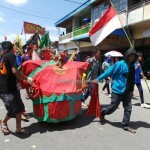 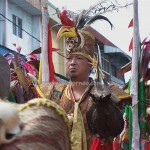 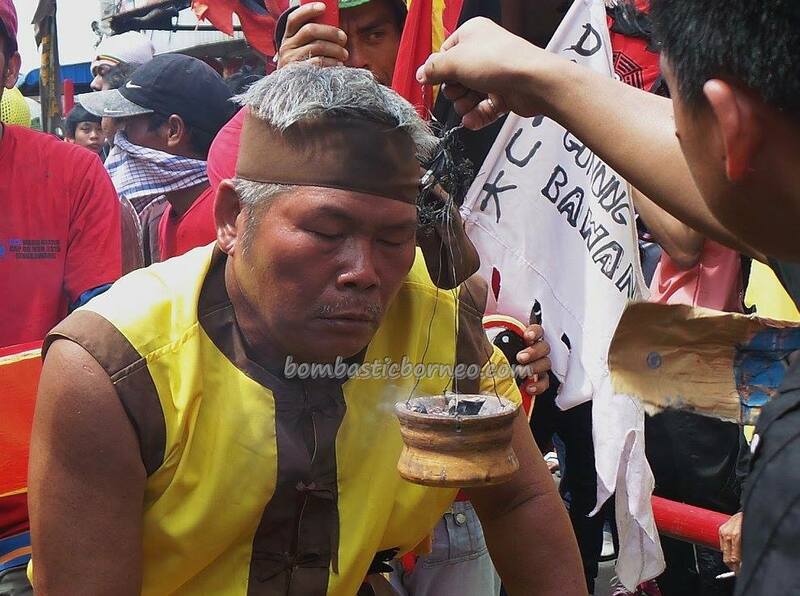 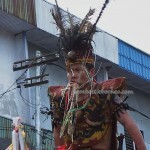 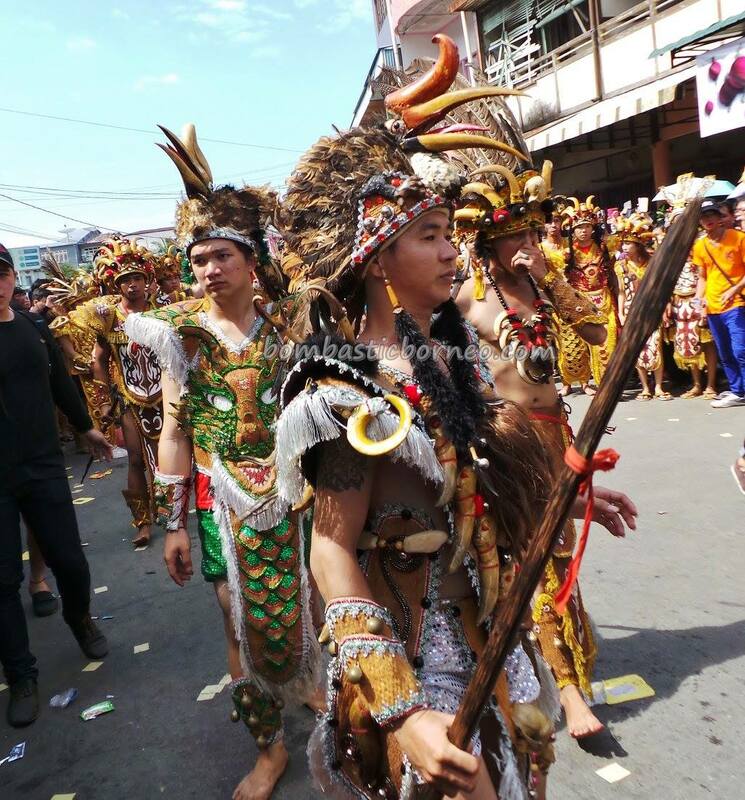 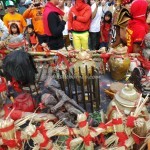 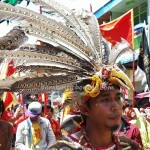 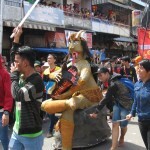 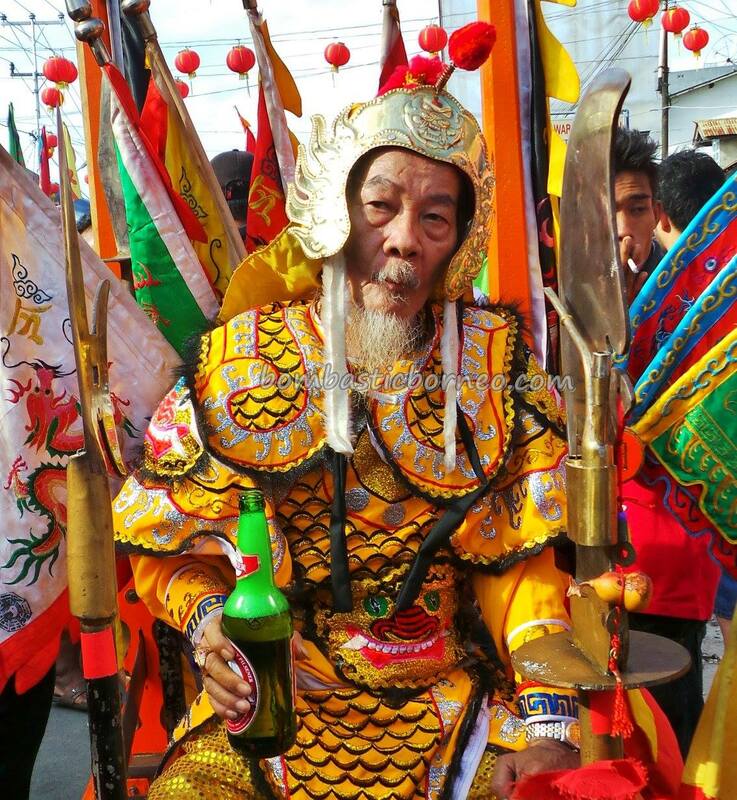 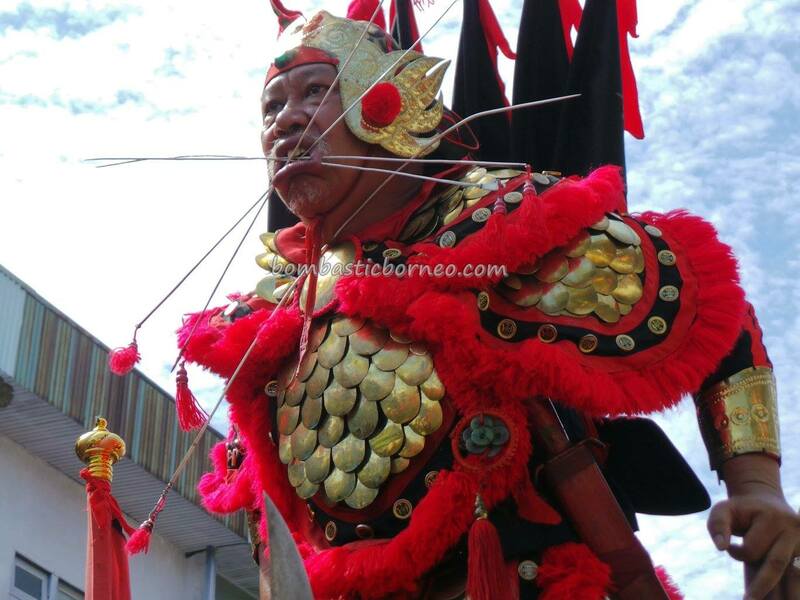 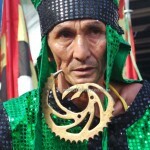 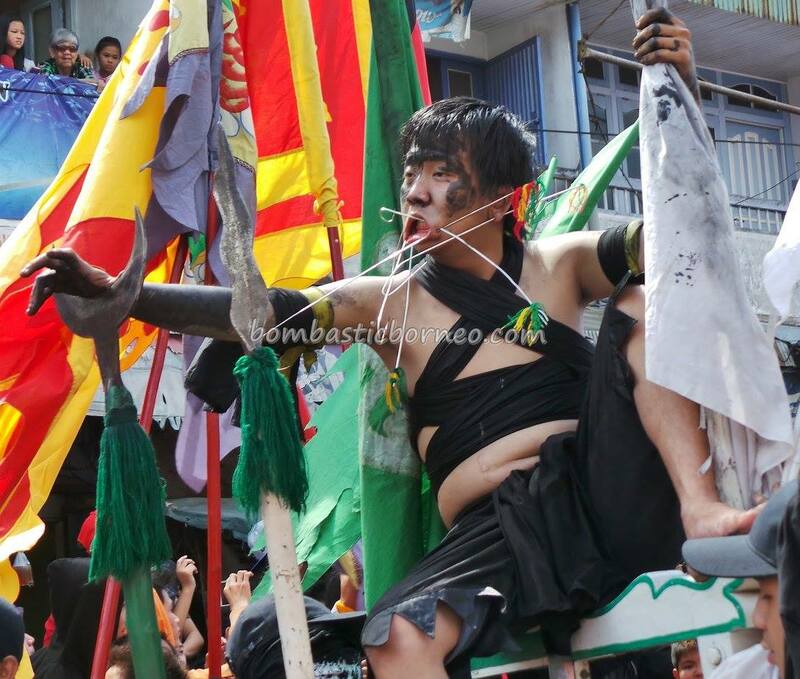 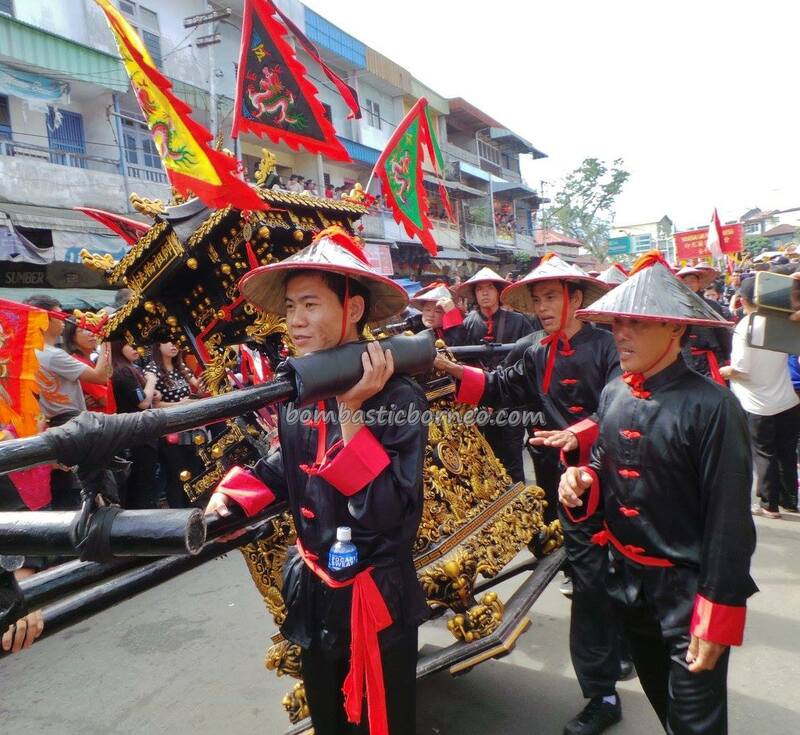 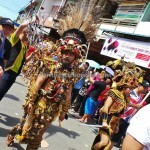 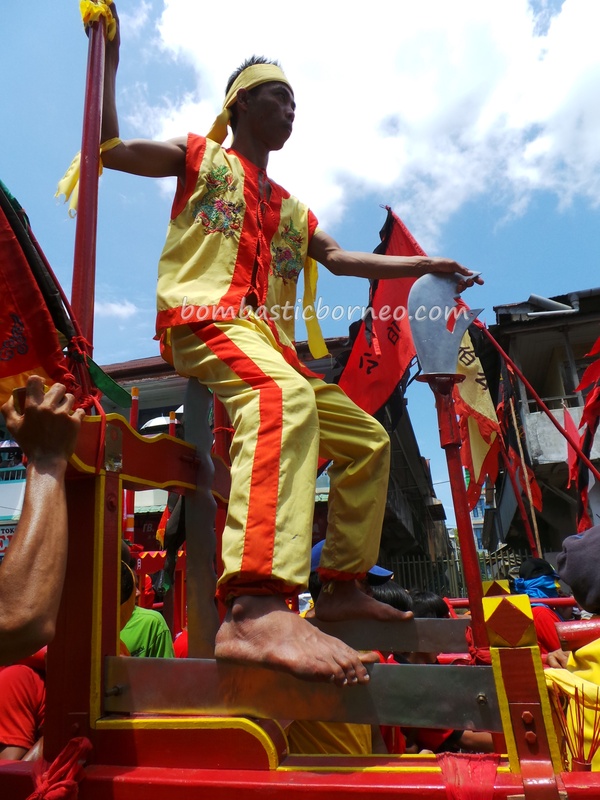 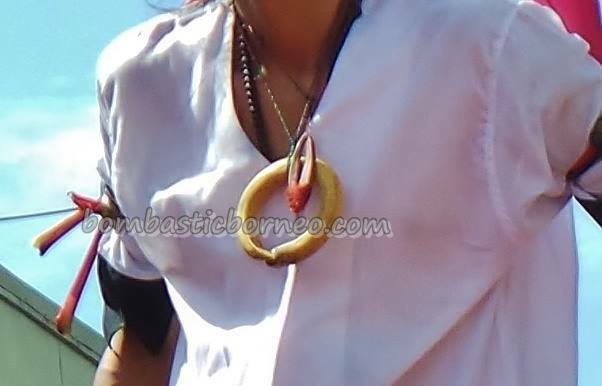 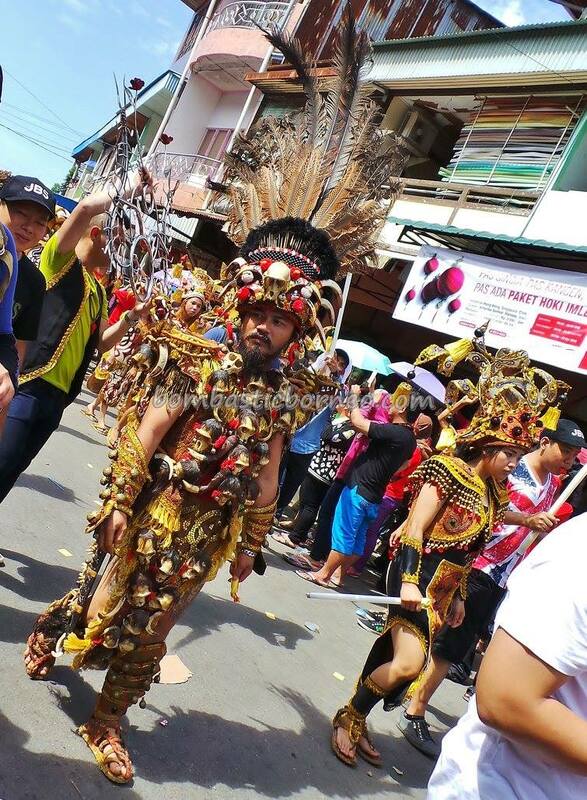 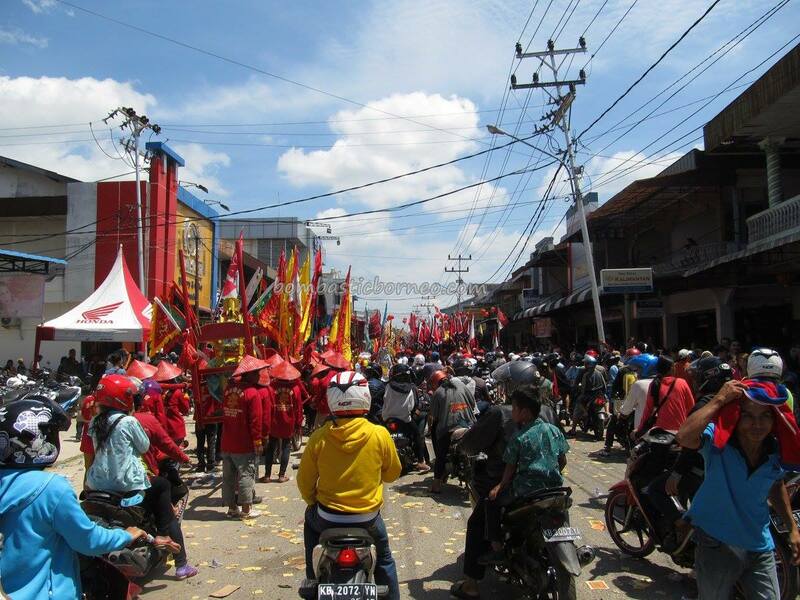 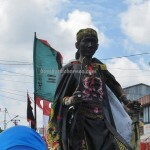 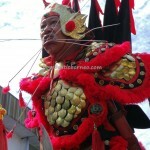 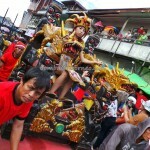 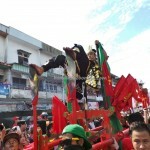 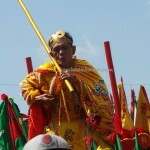 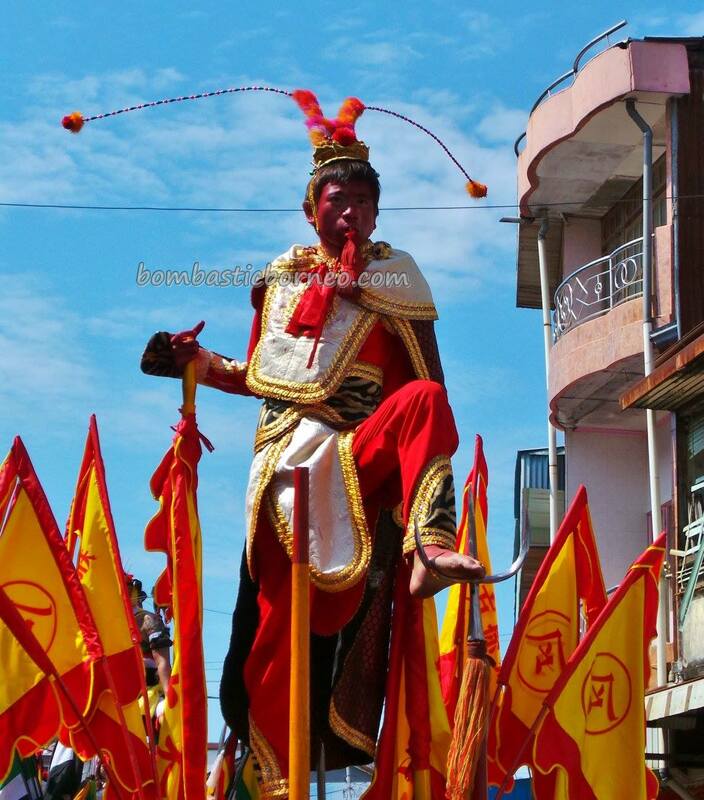 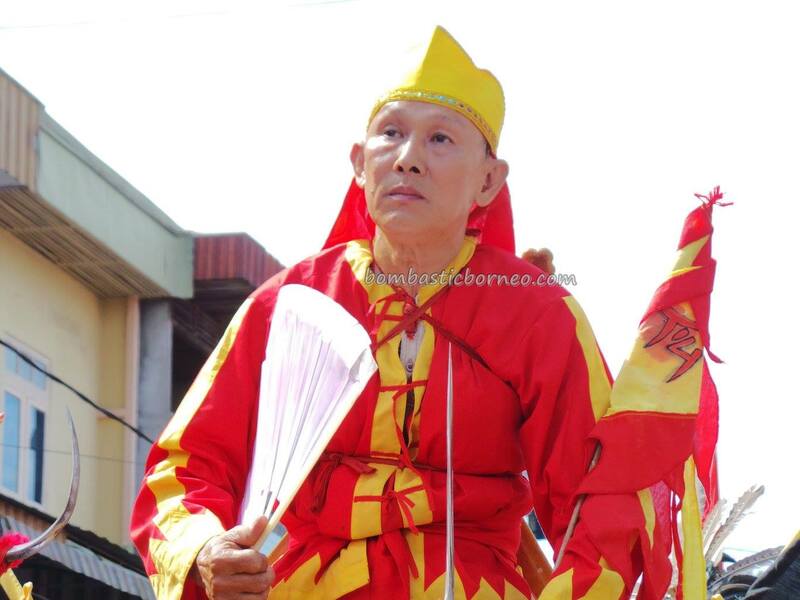 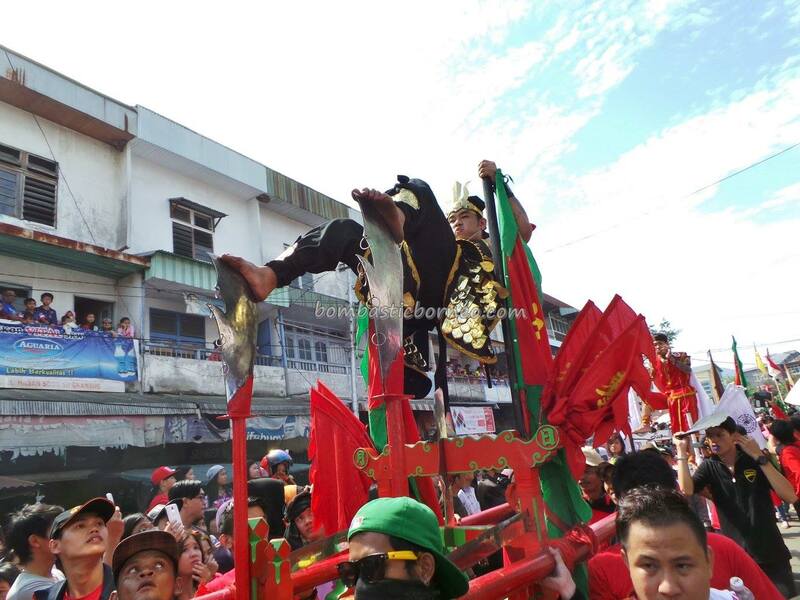 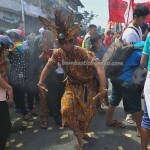 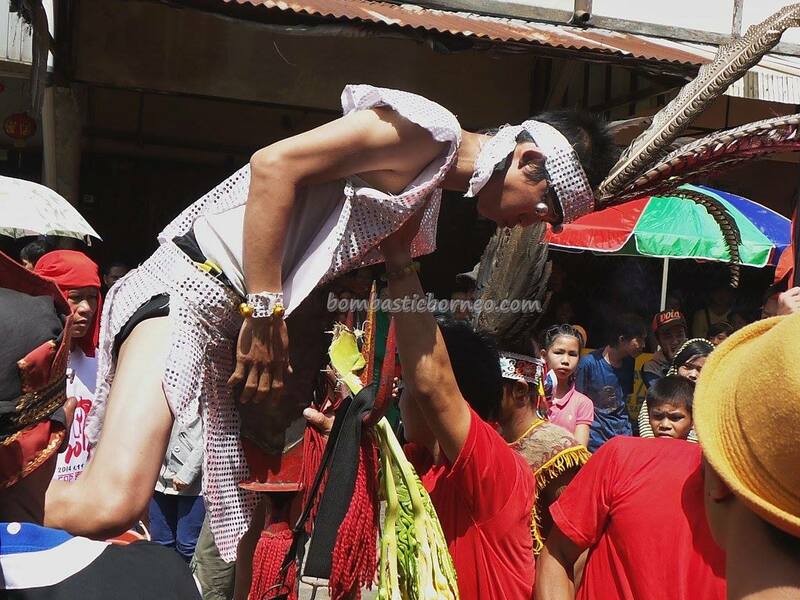 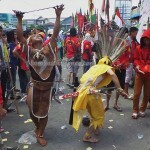 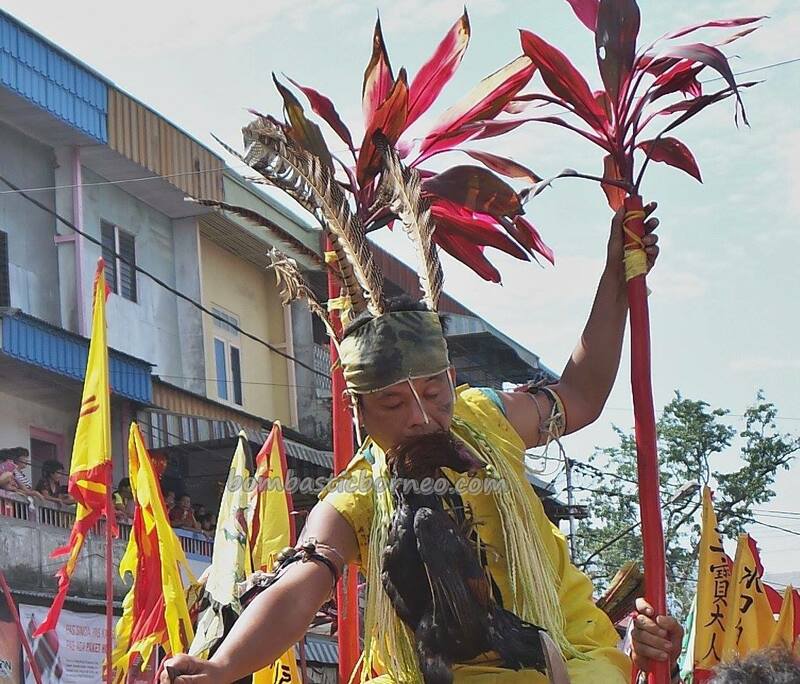 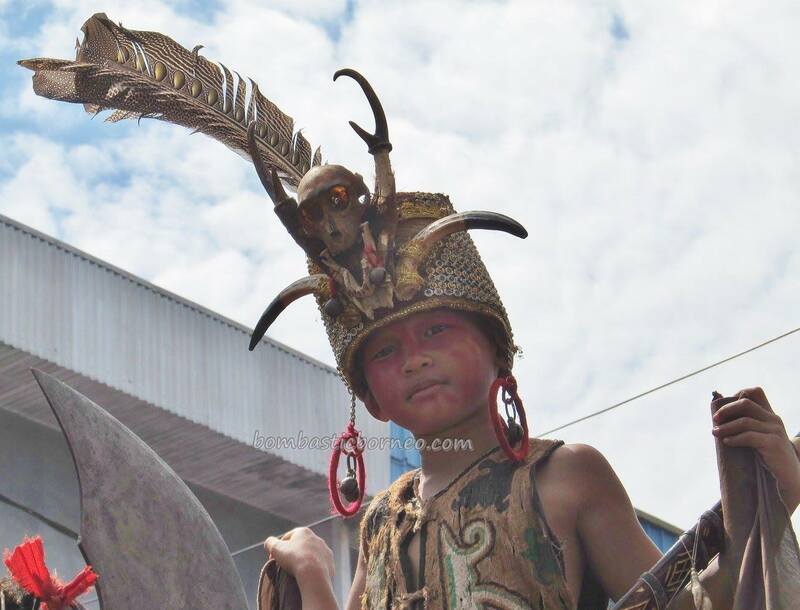 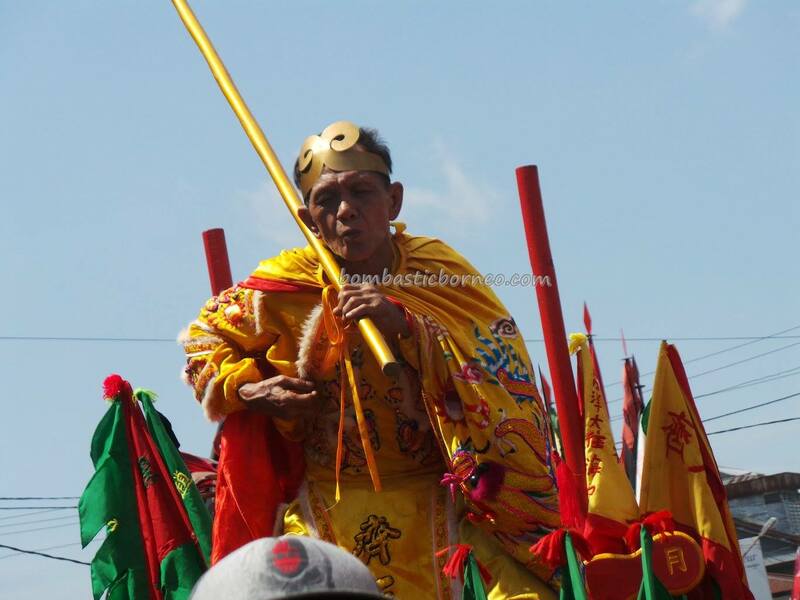 On this day tens of thousands of locals from all over Indonesia and overseas flock into ‘Kota Amoi’ the nickname of Singkawang, to witness this somewhat scary parade of mostly mediums, shamans, medicine man, dukuns and bomohs not only from the Chinese temples but also from the Dayak and Malay communities. 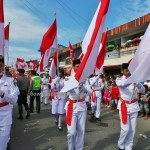 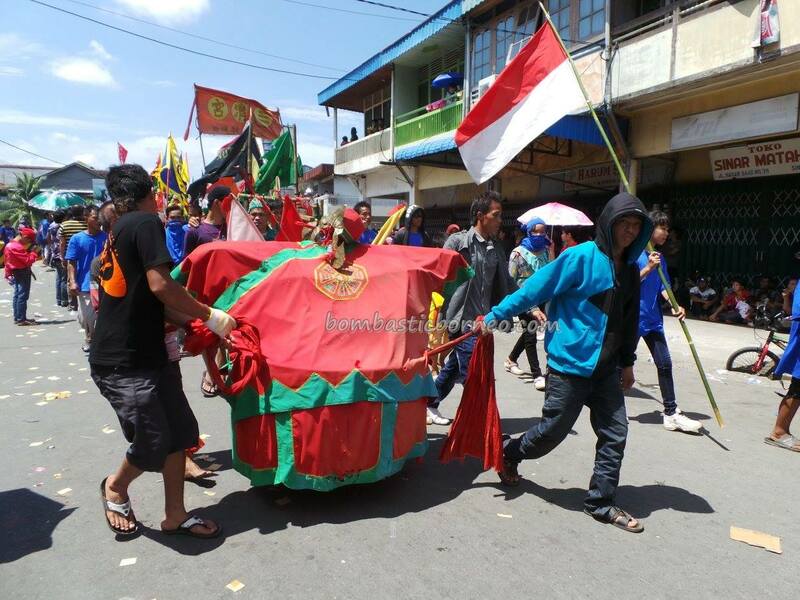 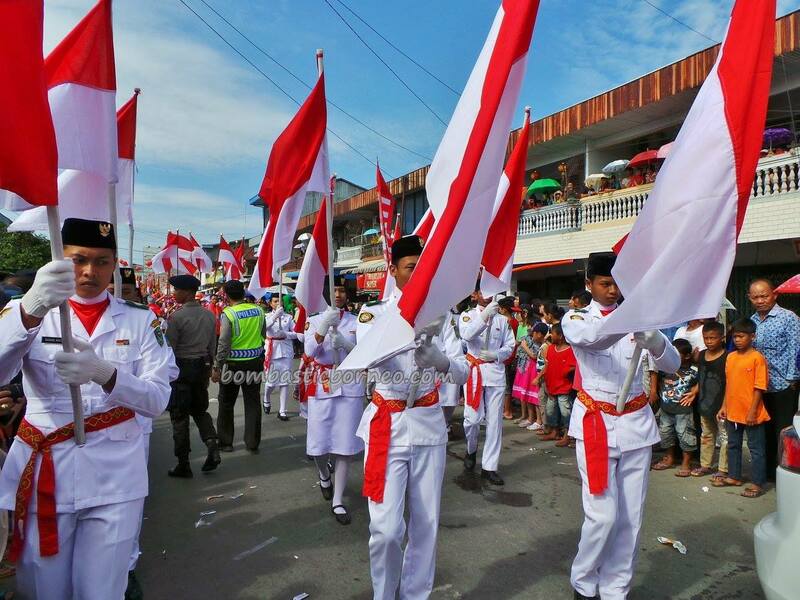 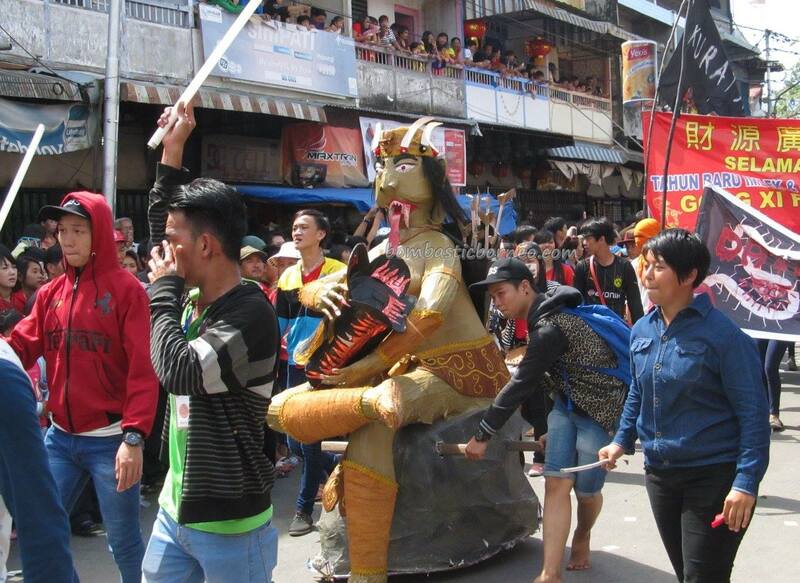 This parade has grown so big that it has been years recognized by the Indonesian government and promoted as an annual national tourism product. 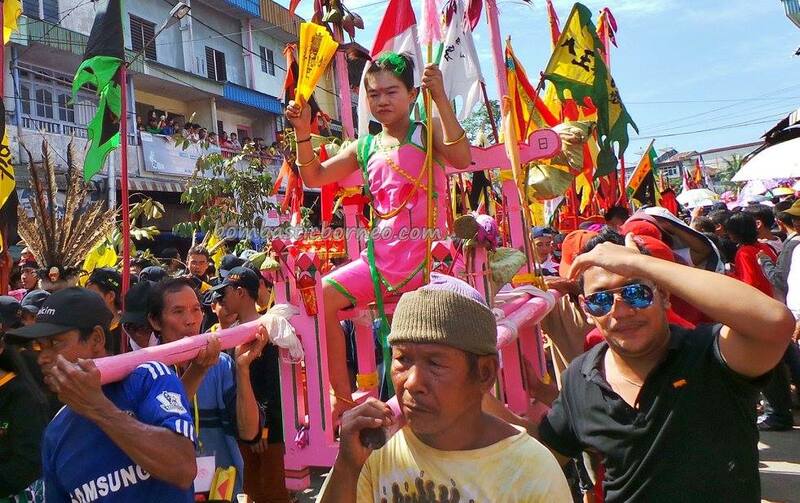 Would have been unthinkable in the Suharto days. 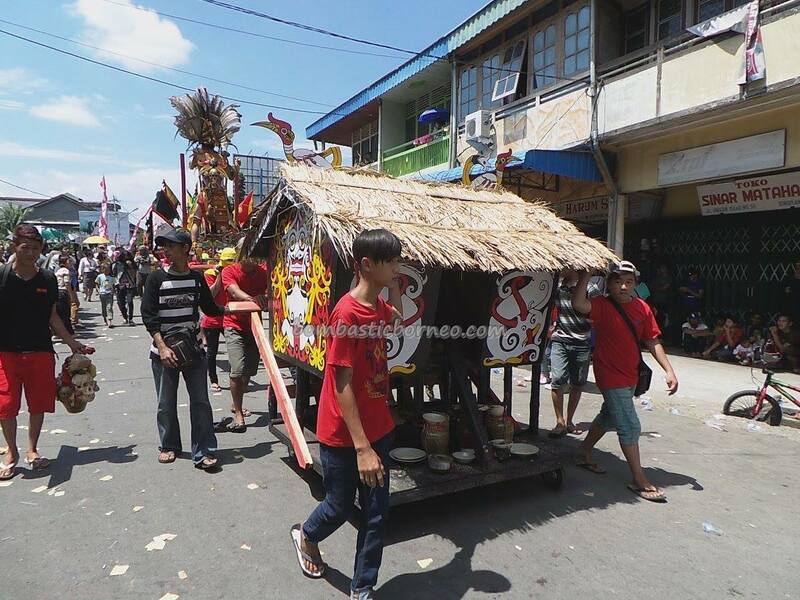 This year’s celebration has been downsized due to budget cut. Which explains why there was just a handful of lion dance and not a single dragon. 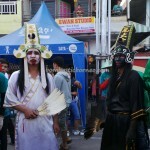 So I was not a lucky first timer to this event but I enjoyed nonetheless. 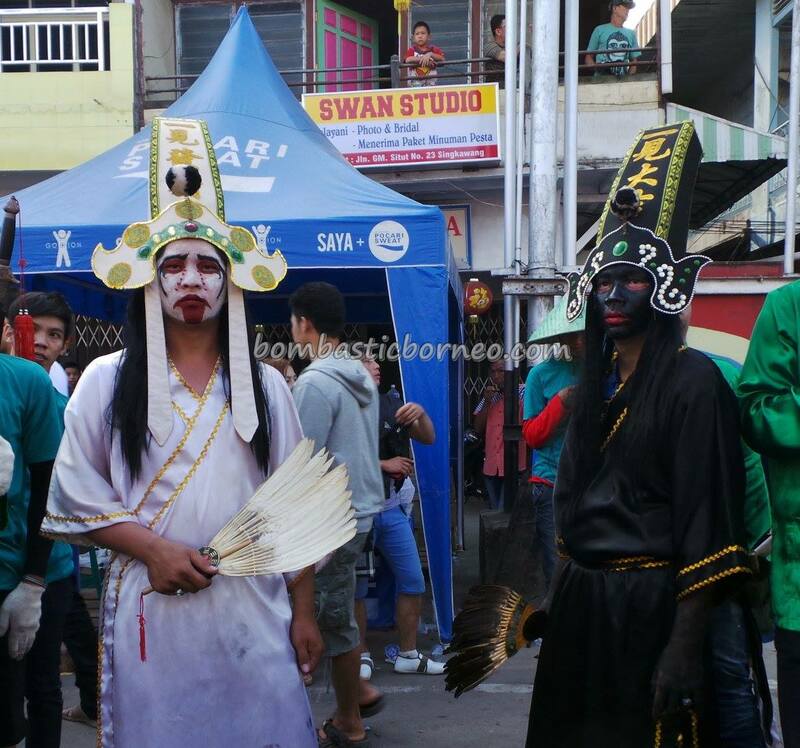 Perhaps I should take this opportunity to share the number of ways one can arrived at Kota Amoi. 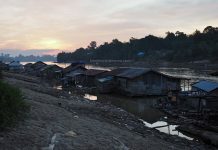 Most people would have to fly to Jakarta and then to Pontianak before taking a car/taxi/bus which is a 3+ hours journey along a coastal road. 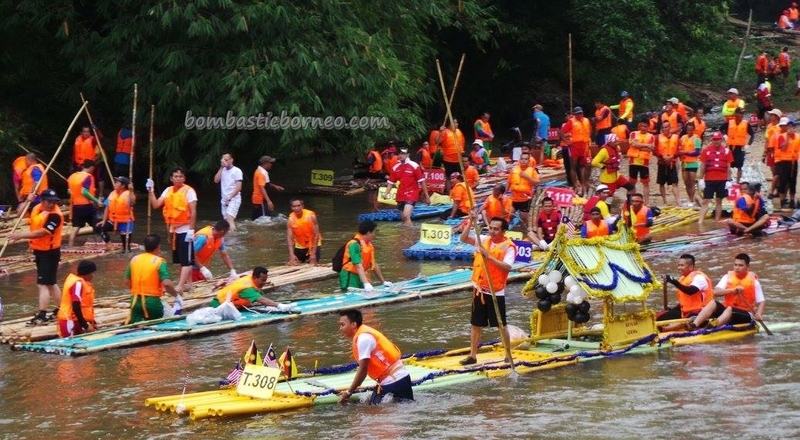 As we are from Kuching, we have 3 options – by 2 land routes via Tebedu/Entikong CIQS and Biawak/Arouk CIQS or by air to Supadio Airport. 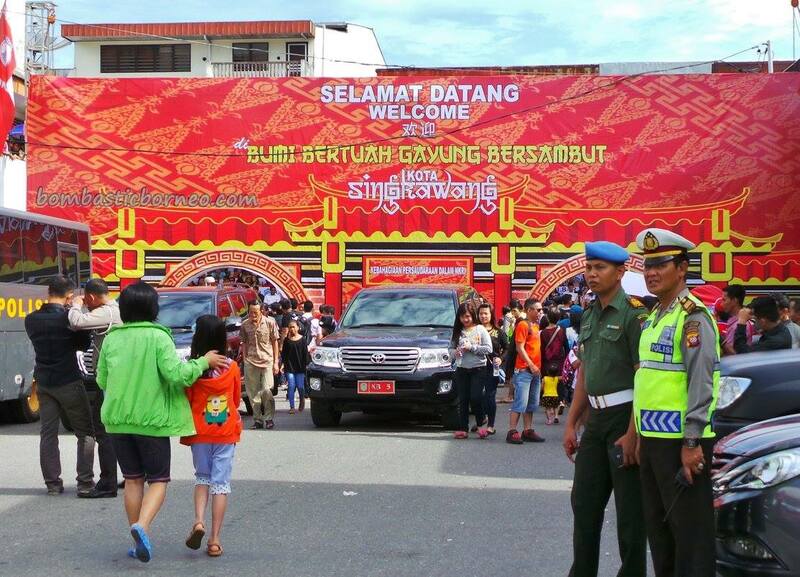 The first option is longer of about 10hrs using Indonesian registered 7 or 11 seater vehicles plying daily between Singkawang and Kuching. 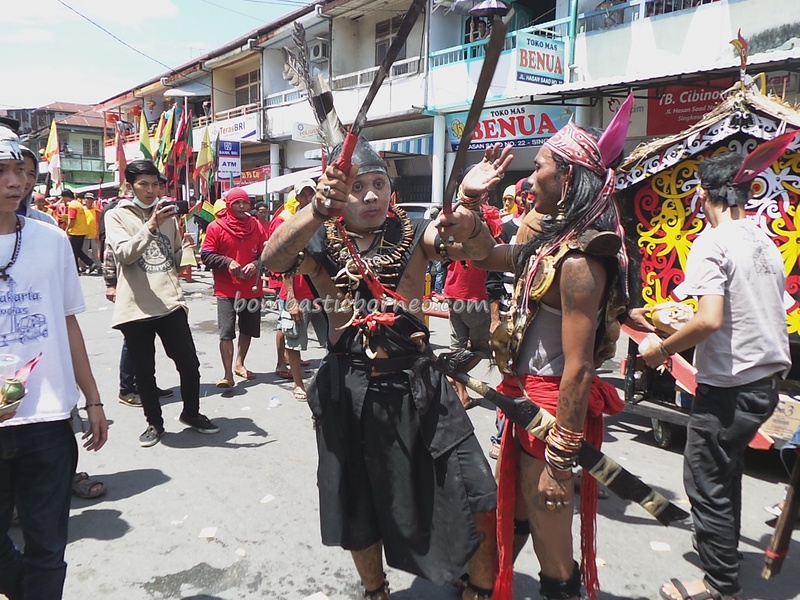 The second and shorter option unfortunately is not favoured by the transport players as yet because of both insurance issues and poor road condition although ojek or motorbike taxi is doable to Sambas and continue by bus through Pemangkat and Singkawang. 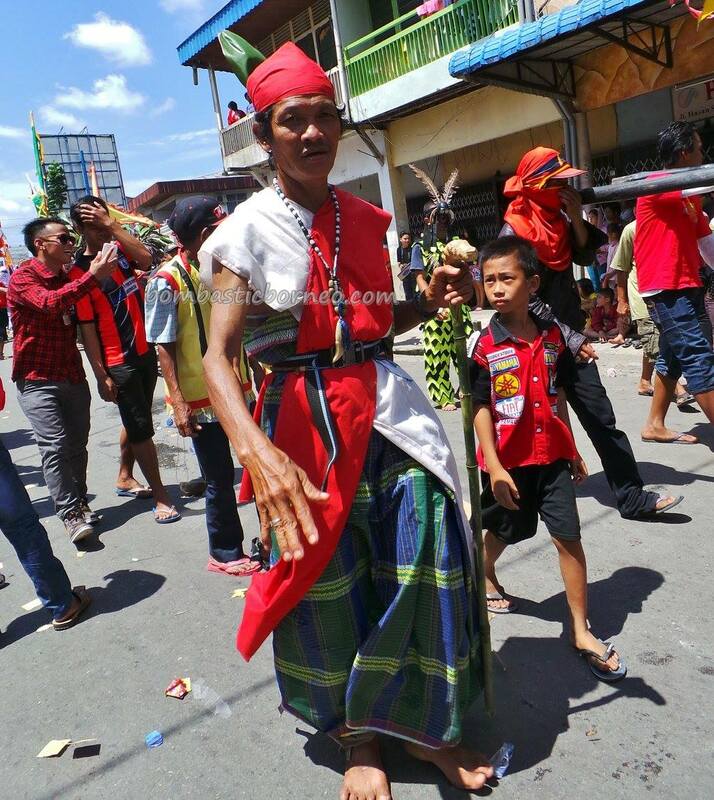 We have been informed that from Arouk to Sajingan the road has just been tar sealed but there onwards to Sambas everything is a nightmare. 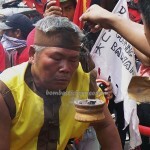 We have yet to do the trial run using ojeks from Arouk to Sambas but definitely it is in our agenda. 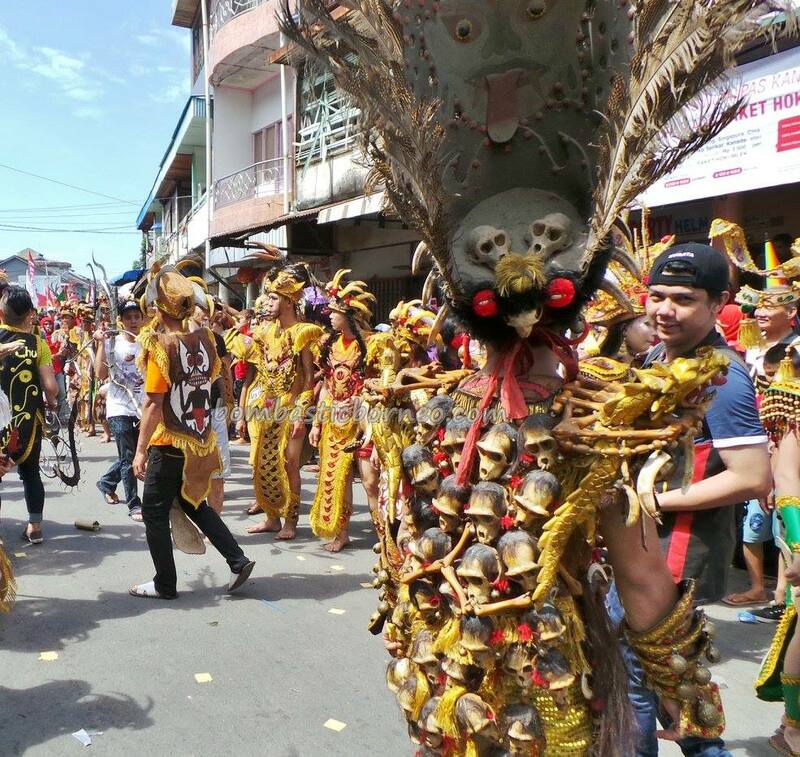 The last option is the quickest by flying Express Air (40min) to Supadio Airport, taxi driven for half an hour to Pontianak and 3hrs to Singkawang. 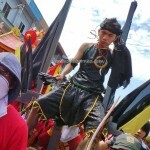 Least hassle but most expensive. 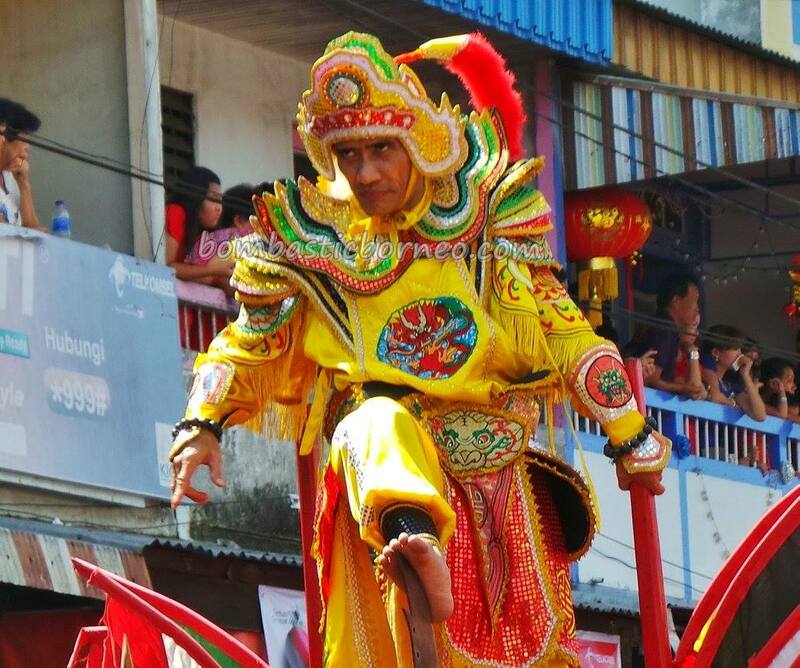 Anyway coming back to our story on the journey to Singkawang via Kuching – these transport providers are a very closely knitted group although they operate at a private level, some licensed some not. 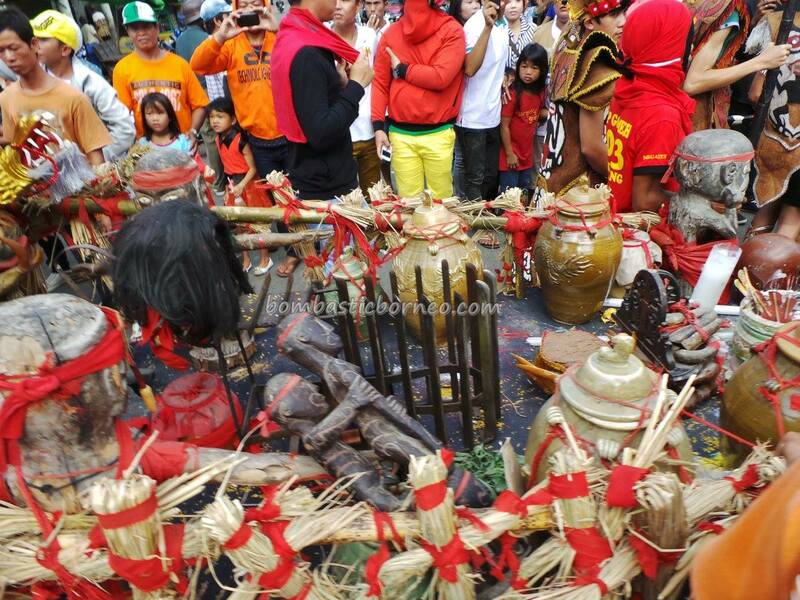 They all have their own Indonesian and Malaysian handphone numbers for clients to make reservation. 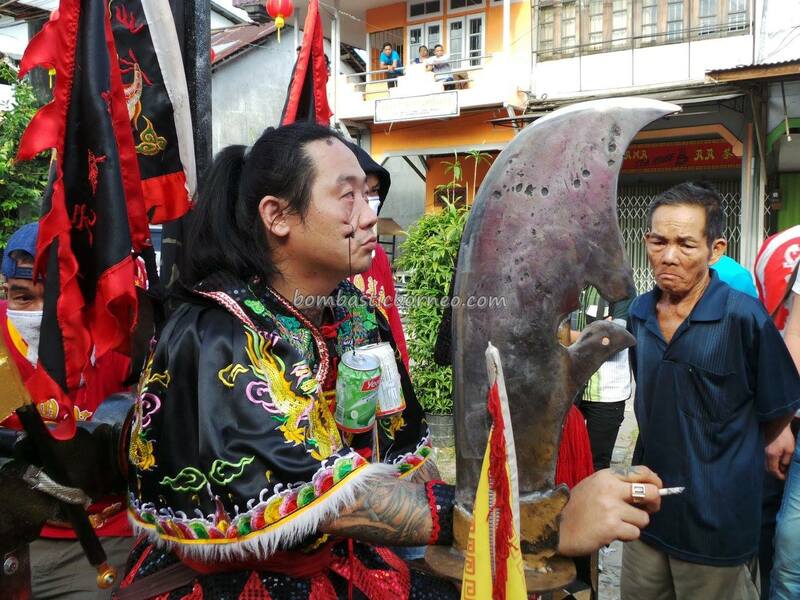 If you make the first reservation with let say Ah Fui and he is not available on the day, your message will be passed to the next guy Ah Chong who happens to be in town, will call you to confirm on the date of departure and the number of pax. 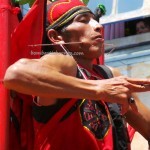 I have ever been passed around 4 times! 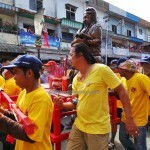 Pick up at your doorstep is usually done very early in the morning like 4am. 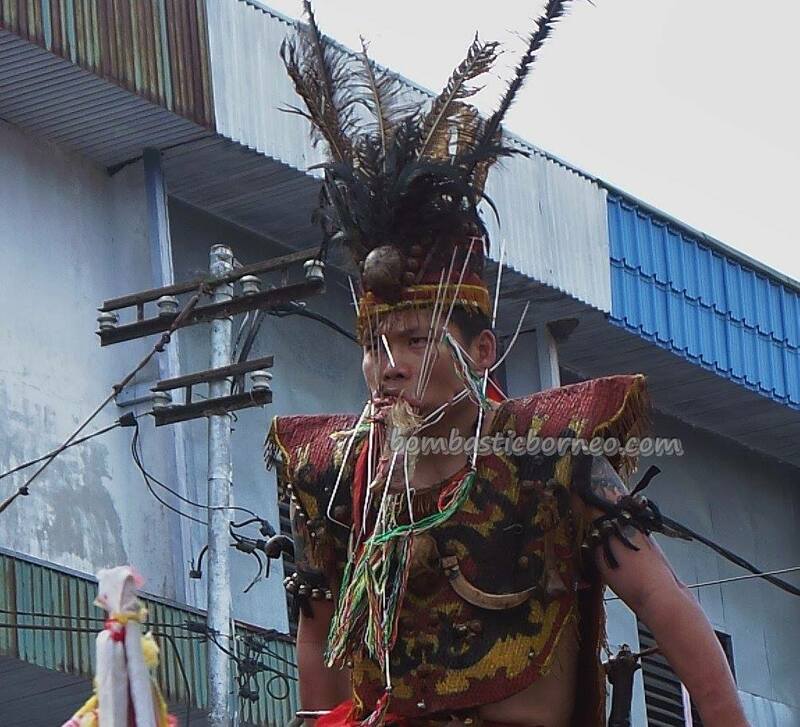 I usually negotiate for later pick up at 5am. 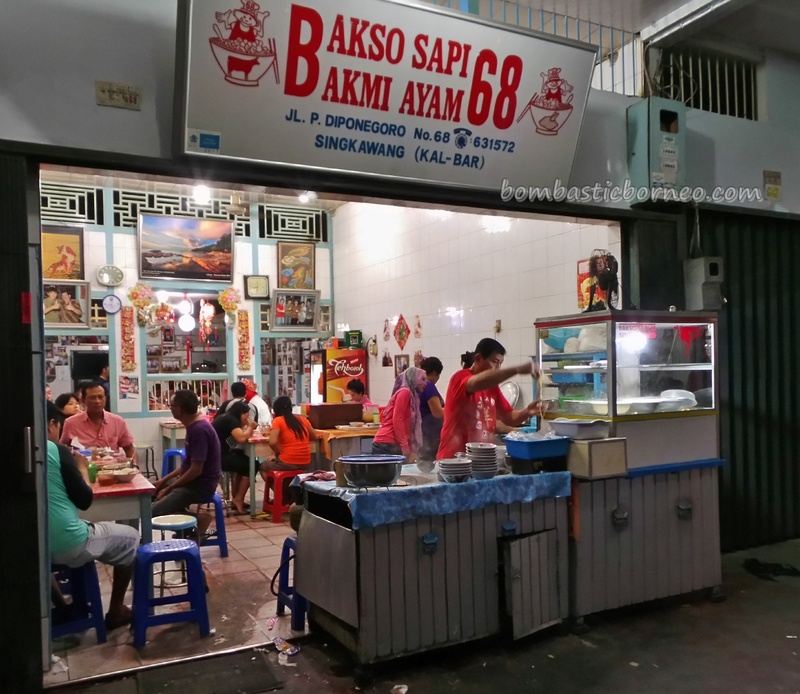 He has to go all over town to pick up guests one by one and once done he heads for the first stop for breakfast at the Serian/ Kampong Taee junction’s coffeeshop. 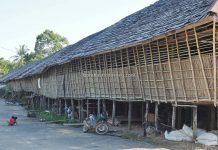 This is also where immigration forms are distributed to be filled in. 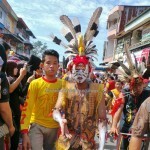 15 minutes and it is off again to Tebedu/Entikong immigration. 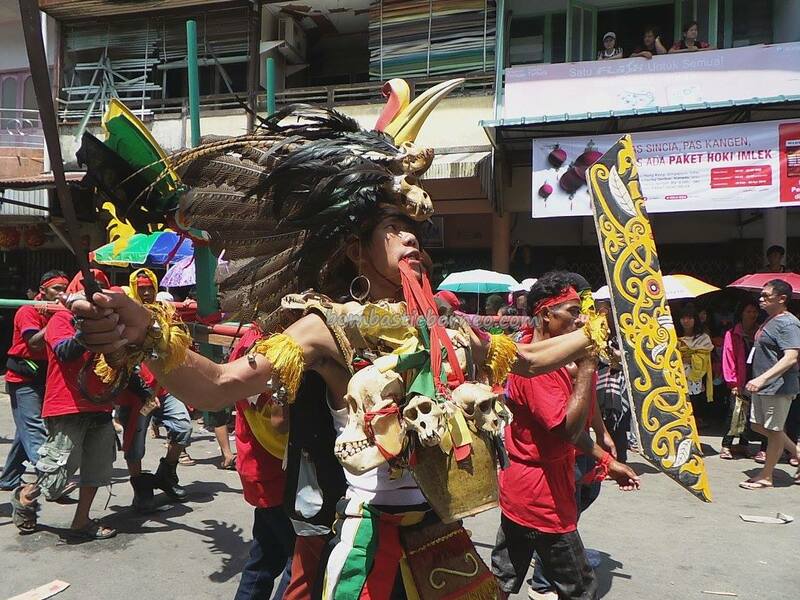 Foreigners from many countries have recently been given visa free entry into Indonesia and so foreign tourists should avail themselves to this privilege to see the interior of Kalimantan through Sarawak. 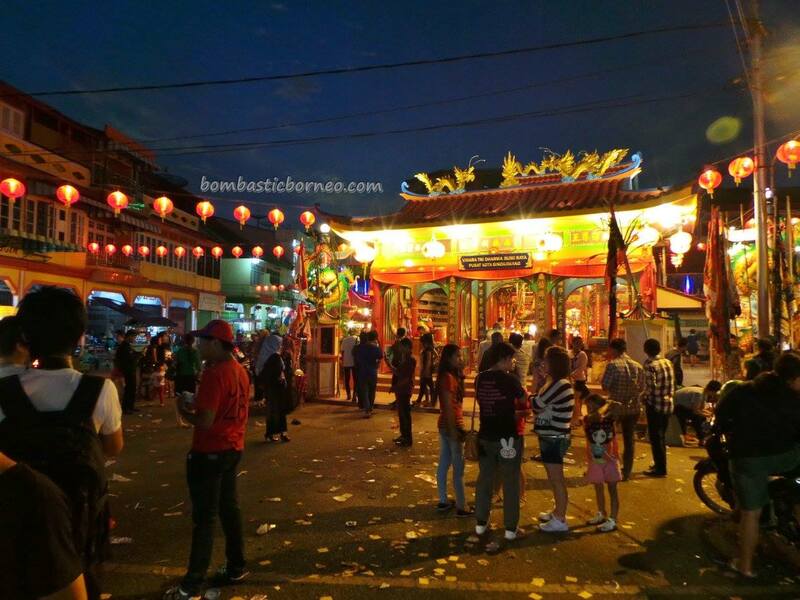 Money changers used to swarm all over travelers passing through the Entikong check point but recently I do not see many of them as most tourists prefer to get their Rupiah in Kuching. 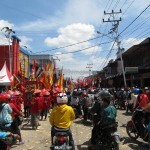 Your driver will usually make 4 quick stops at roadblocks along the way to pay ‘toll’. 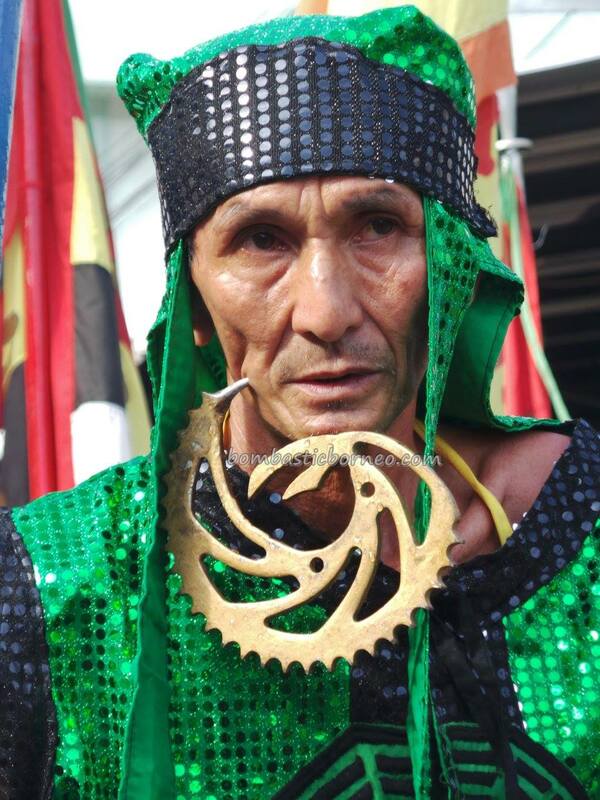 Get used to this way of life. 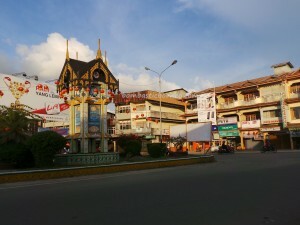 Next stop will be Sosok town for brunch or buy a local SIM card with ‘data’ or ‘kuota’ as they call it here. 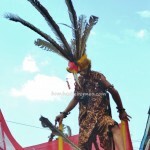 SIMPATI network should be your choice for the best line coverage. 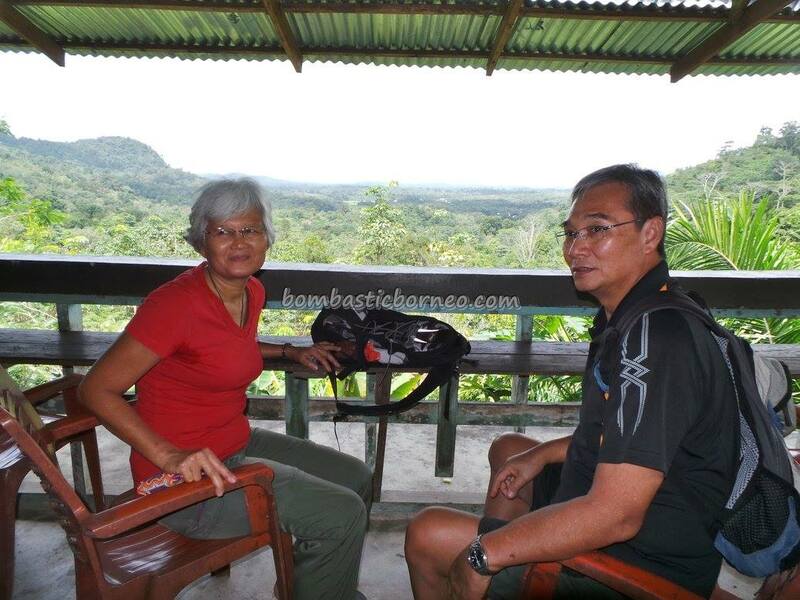 Next stop will just be a toilet break somewhere up in the mountain called Gunung Sehat along the way to Sungai Pinyuh where you will have your last tea break. 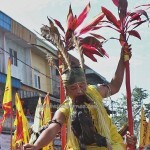 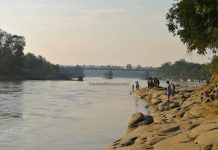 Sungai Pinyuh is the halfway point between Pontianak and Singkawang and it is 1.5 hrs away from both. 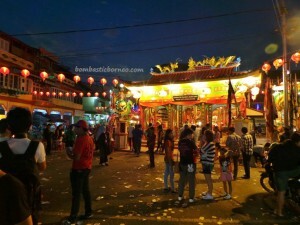 Most reasonably good hotels here are Rp300,000/night or below but when it comes to Cap Go Meh prices can go from Rp500,000 to Rp1.2 million! 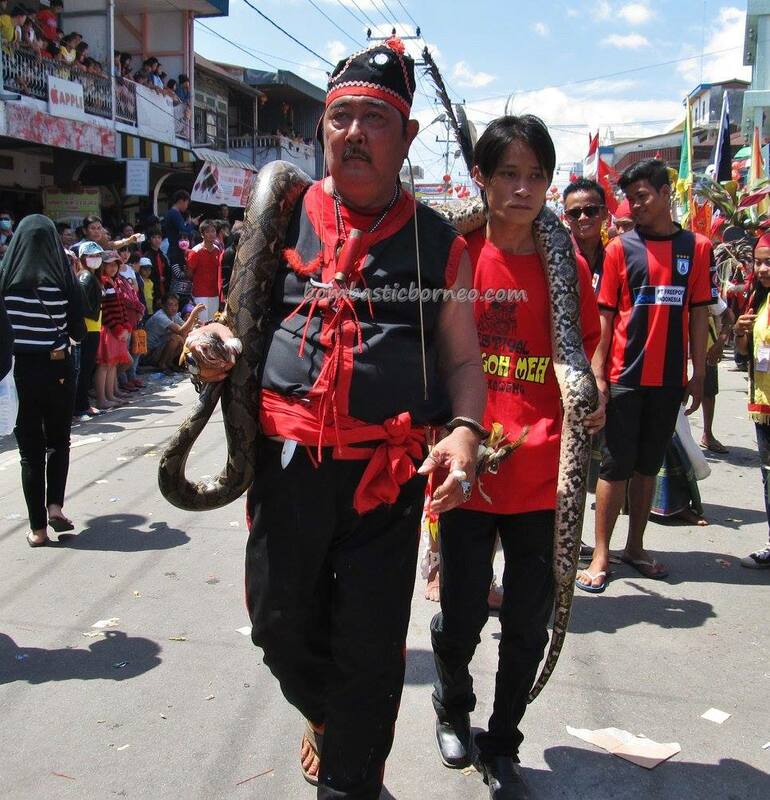 The worst possibility even at that cut throat price you might not get a room. 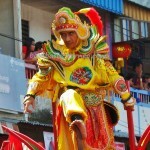 Book early online or through Facebook once you get hold of the hotel names. My advice is book the room for just the eve of Capgomeh, check out early before going for the parade and come back after 1pm to negotiate for the normal room price as most guests will check out after the parade is over at midday. Do make sure that the hotel you intend to stay in does not have a karaoke bar or swiftlet house on the top floor otherwise the noise at night will piss you off. 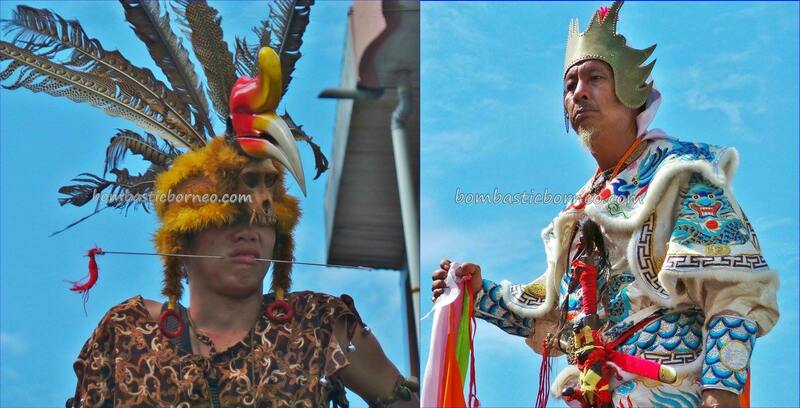 We have experienced both! 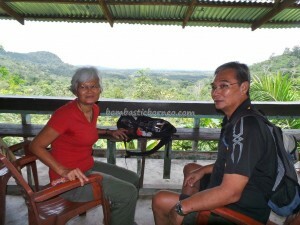 The best choice is still Hotel Sentosa free from all noise pollutions. 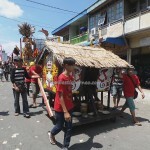 Reasonable price, clean and spacious room. 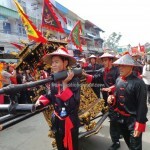 As for what goes on during the parade, I will let the photos and videos do the talking. 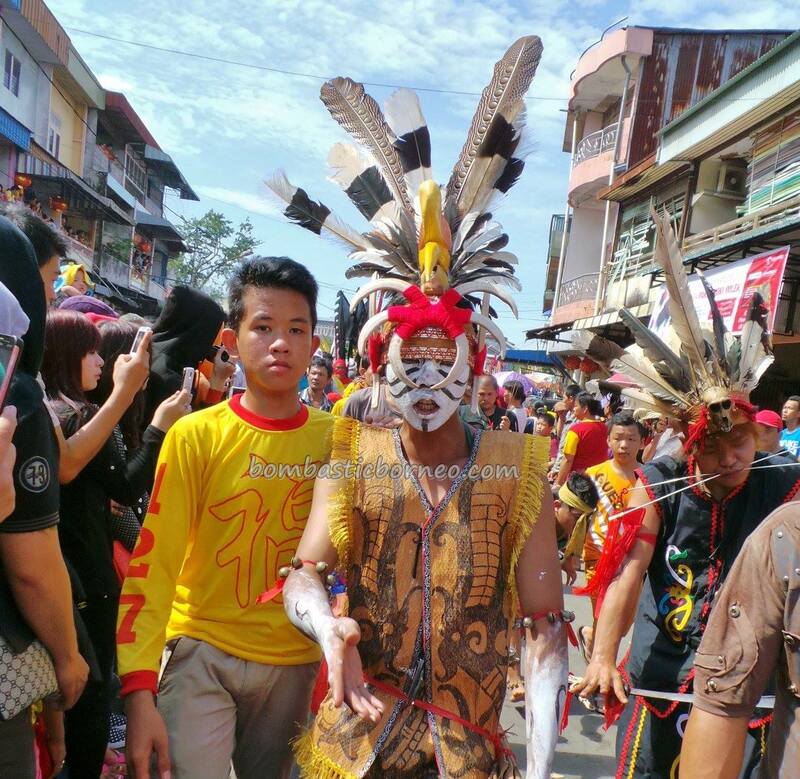 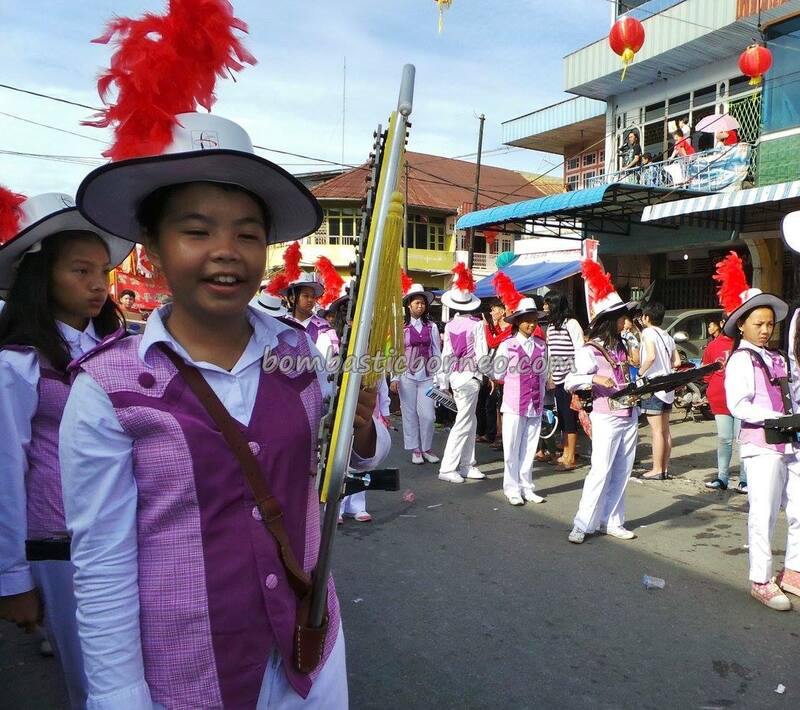 Further to the Capgomeh parade, one should take the opportunity to enjoy the many attractions like visiting Rindu Alam, Tanjung Bajau’s waterpark or go to the islands of Randayan and Lemukutan. 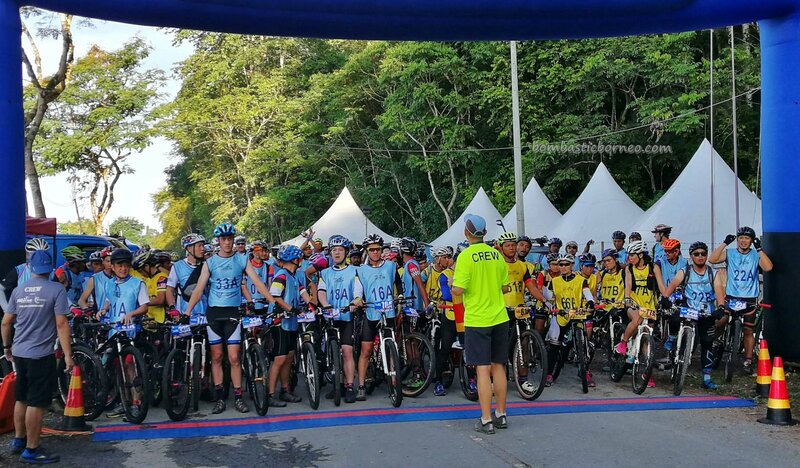 Sadly I cannot recommend visiting Pasir Panjang beach now as it has been heavily polluted with trash, a far cry from what I used to know from 10 to 20 years ago. 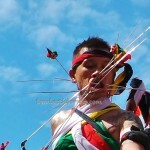 For reasonably priced tour packages contact this young entrepreneur by the name of You Dhi at Singka Tour.